Joseph Conrad was born Jozef Teodor Konrad Korzeniowski in 1857, to Polish parents in the Russian Empire. At sixteen he left the landlocked heart of Europe to become a sailor, and for the next twenty years travelled the world’s oceans before settling permanently in London as an author. He saw the surging, competitive `new imperialism’ that planted a flag in almost every populated part of the globe. He got a close look, too, at the places `beyond the end of telegraph cables and mail-boat lines,’ and the hypocrisy of the west’s most cherished ideals. 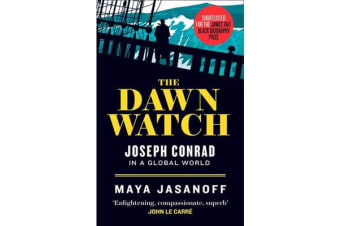 Through an expert blend of history, biography, literary criticism, and travelogue, Maya Jasanoff traces the strands of Conrad’s experiences and the stories of his four greatest works: `The Secret Agent’, `Lord Jim’, `Heart of Darkness’, and `Nostromo’. This spellbinding narrative casts new light on his age, and offers fresh insight into our own. 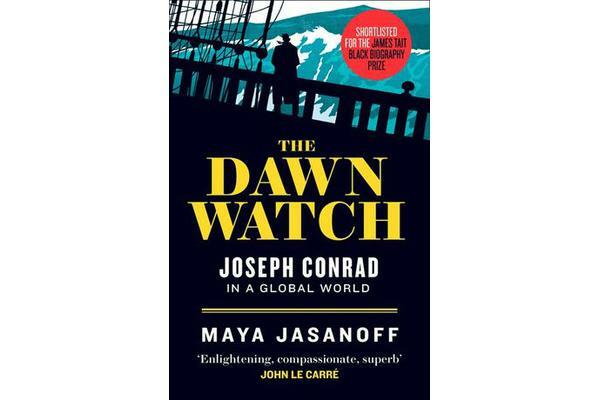 Genre-bending, intellectually thrilling, and deeply humane, `The Dawn Watch’ embarks on a bold expedition to the dark heart of Conrad and our global world.